-All prices include breakfast and taxes. -Payment upon check out (by Visa, Mastercard or cash). -Check in at 11 am. Check out at 3 pm. -Adults only (18 and over). 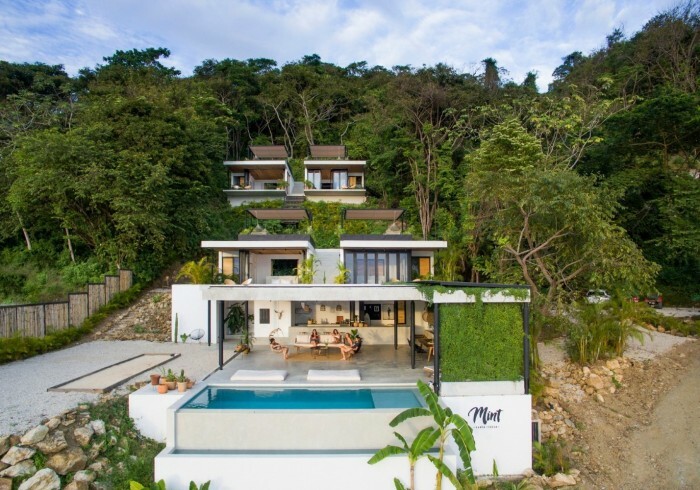 A newly opened adults only boutique hotel in one of the most magical places on earth, Santa Teresa Costa Rica. The space is designed by Costa Rican architects at Studio Saxe and filled with locally sourced furniture and design details. With only four rooms your stay at Mint will have you feeling like you are part of a little community, with other travelers and locals. We, Jonas and Johanna - owners and 'do it alls' of Mint, have spent 4 years in this beautiful town and love to share our personal favorites among restaurants, excursions and beaches.